I photographed my teardown of my first SCS-26UC4. However, after bricking the second one, Doug Kelly, Kevin, and I disassembled it. Funny enough, the components weren't quite the same. Working on some information from Laboratory B, we re-examined the GPS port, to see if the pins could be scoped once it had a signal. 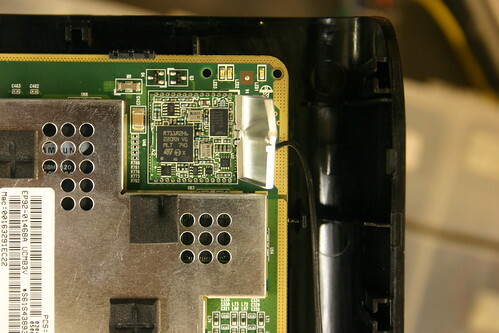 More interestingly, the GPS chipset is different from the first unit we took apart. 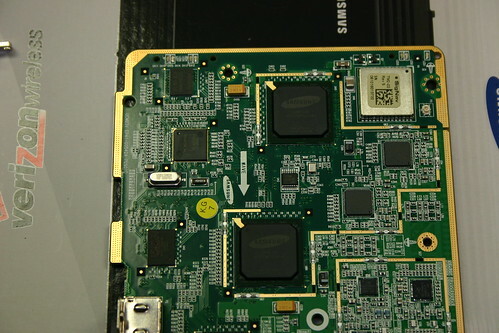 And it uses an STMicroelectronics GPS Baseband processor. Cool. 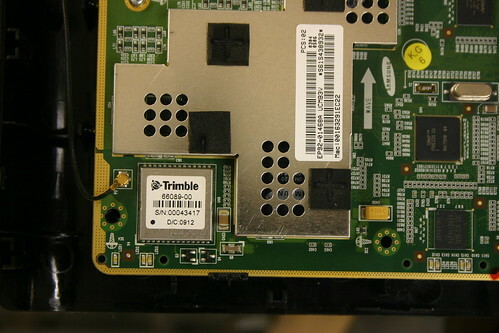 There are datasheets for one of the Trimble units here. In all likelihood, the device is a Copernicus I/II, but it might also be a Condor. SparkFun sells a Copernicus for $45. A re-check of the serial i/o voltages should confirm which model. Potentially, there are three possible GPS protocols: NMEA(A text based standard), TSIP(Trimble Standard), and TAIP(Another Trimble Standard). This seems to explain it well enough. Hopefully we're one step closer to GPS in the cave.